You may have noticed that it is the middle of August- when did that happen?! As the last couple weeks of summer come to a close, I am figuring out ways to both brace myself for my last year of university, and find a way to make the most of this summer. Tonight, I am going to relax Down by the Bay with some delicious eats from local food trucks, and maybe make a trip out to Hamiltons’ Farmers Market tomorrow morning to pick up some sweet summer berries. 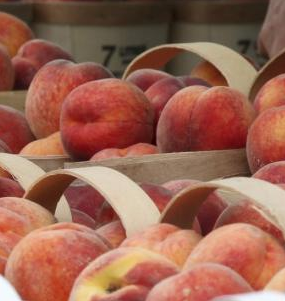 Since peaches are in season, and happen to be my favourite fruit of all time, I am going to make my next event the Winona Peach Festival (sensing the “eat everything” trend yet?). This festival occurs from August 22-24th in the small town of Winona. The festival will feature live music, opportunities to support local organizations and of course, an ensemble of delicious peach-themed desserts. I’m going straight for the peach crêpe stand. Once I awake from my food coma, I will mosey on over to Pier 8 on Saturday August 23rd for the Multicultural Festival. This event is put on by the Hamilton Centre for Civic Inculsion and will feature live performances, hand-made decor and jewelry and local food. The amazing part about this particular festival? There will be a space dedicated to conversations about community development in our city. So while your mingling with friendly faces and learning more about Hamilton, you are also encouraged to reflect genuinely on what you enjoy about our city or what changes you might like to see. I am hoping during these last couple weeks, I can both enjoy myself and find that peace of mind I will need to switch gears. A brand new school year means new experiences to be had, and I want to be able to appreciate each and every one of them.